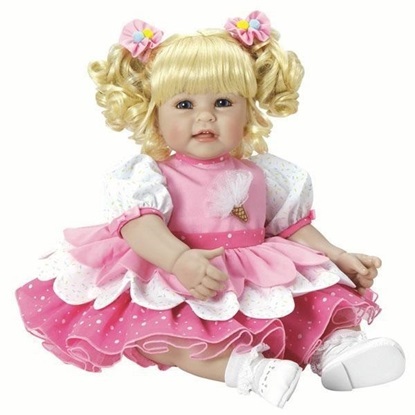 Known as Toddler Time dolls, they are representative of small children, known as Toddlers. 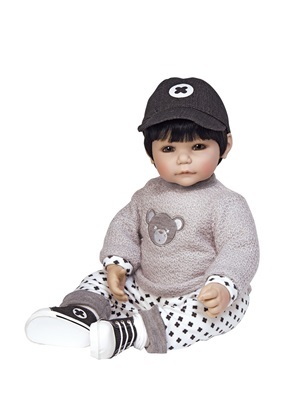 Manufactured by Adora, each doll is unique with its own outfit, hair and eye color. Every year Adora introduces new dolls. 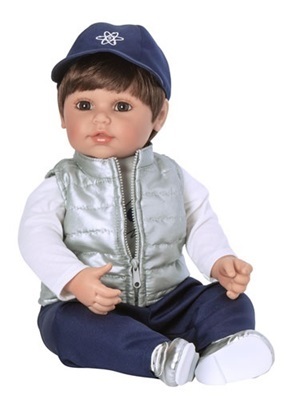 Toddler Time Dolls are only available for a limited time, it is best to buy the doll when you see it so you aren't disappointed when its gone. 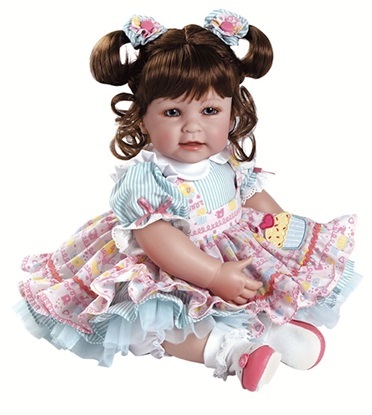 This brown hair, brown eyed beauty is made from the new super soft Cuddle Me vinyl and is 20 inches long with a cloth body. This blonde haired, blue eyed beauty is 20 inches long and is made from the new super soft Cuddle Me vinyl. Made from the new super soft, Cuddle Me vinyl, this fair skinned brown eyed beauty with black hair is 20 inches long with a soft cloth body. 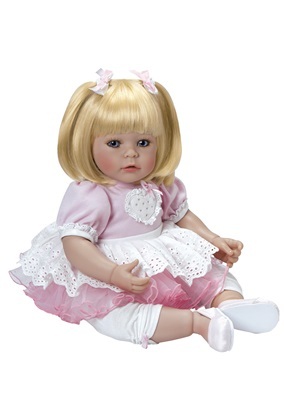 Woof is a brown haired, blue eyed Adora doll and is dressed in a pink sleeper with a puppy bibb. Rainbow Unicorn is 20" from head to toe, made of baby powder scented high quality vinyl with moveable vinyl head, arms and legs. ToddlerTime Ice Cream Party is 20" from head to toe, made of baby powder scented high quality vinyl with moveable vinyl head, arms and legs, and a huggable cloth body. She is dressed in a fox-themed outfit and is 20 inches from head to toe. This beautiful 20 inch toddler is new in 2018. She wears a pink furry jacket and hoodie complete with long rabbit ears and fuzzy boots. 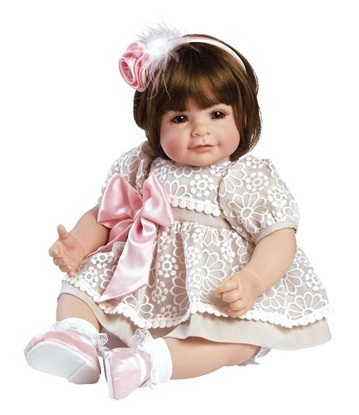 New in 2017, Jolie is a 20 inch Toddler Time Baby with red hair, and blue eyes. 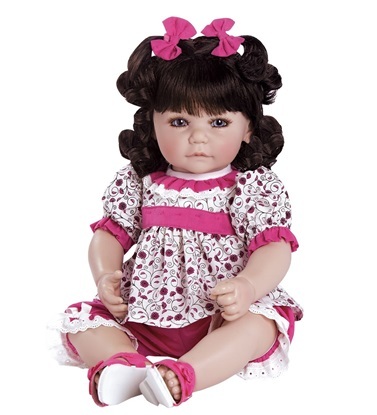 Hearts Aflutter is new in 2017 from Adora's Toddler-Time Collection of 20 inch play dolls. This 20 inch brown haired, brown eyed boy is so cute, you won't be able to bear it!! 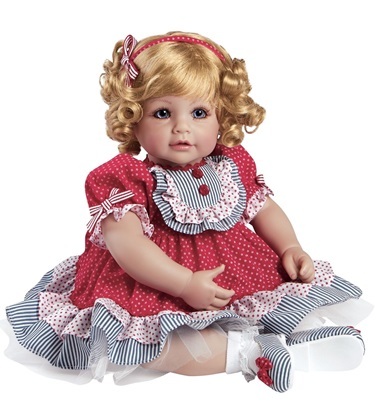 Adora Piece of Cake is new in 2015 from the Toddler-time Collection of premium play dolls. 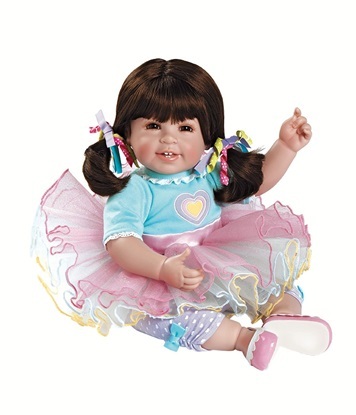 Sugar Rush by Adora is from the Toddler Time Collection of 20 inch premium play dolls.